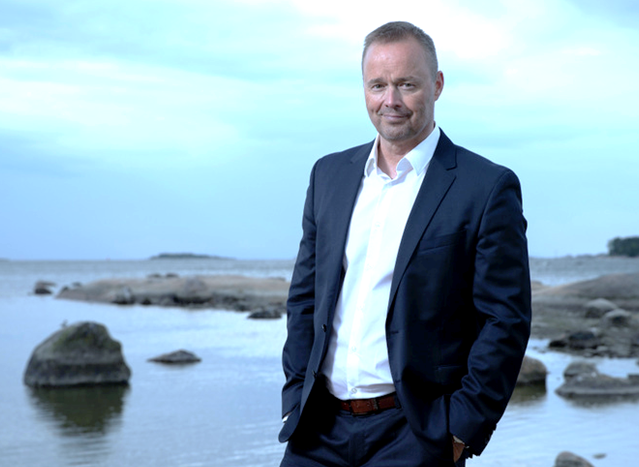 On June 1st Rolf Ladau assumed the position as the CEO of Paulig. He is an internationally experienced FMCG leader with solid knowledge of the food industry. Rolf has an extensive marketing and business experience from some of the leading international FMCG companies in the world. Before the position as Managing Director of Fazer Confectionery, he worked for more than seven years in leading international marketing and commercial positions within the Coca-Cola Company. Prior to this, he has also worked for Procter&Gamble, Gillette, the Kellogg´s Company and Unilever. He has studied Business Administration at the Turku School of Economics. During his career he has lived and worked in six different countries spanning Europe and North-America. “I’ve always been drawn to brands that have a sense of purpose and a clear role in the consumers’ lives. In my mind the brand portfolio of Paulig responds to what consumers are increasingly looking for both today and in the future. This makes the role very interesting”, Rolf Ladau says. People are what makes work both interesting and enjoyable. Working with inspiring people gives me a lot of fuel and a chance to learn new perspectives. What clicks with me is Einstein's theory of insanity: "Insanity is doing the same things over and over and expecting different results." This links to a motto that I try to live by, which is to always have a healthy dissatisfaction with the status quo. Meaning, always trying to find ways in which to improve on what you've done before. It also keeps work exciting and fun!